This book was SO much better than I was expecting! I love it when a book throws me completely off guard, and that’s exactly what happened when I read Once, the much anticipated follow up to Eve by Anna Carey. After a series of events gone wrong, Eve is now trapped in the City of Sand, at the mercy of none other than the King of New America. Here she discovers an unsettling secret about her past, and must try to come to terms with what this secret means for her future. It’s up to Eve to do whatever she has to do to save the ones she loves. Eve has definitely come a long way since I first met her in the previous book. She is no longer the sheltered, naïve young lady. Here we see a girl that has been through more than any girl should ever have to go through, and she’s a survivor. She’s also very strong and determined, and I found that to be so refreshing compared to the girl we first met. As if I thought I couldn’t love Caleb more than I did in the previous book, I fell in love with him even more in this sequel. Unfortunately, we don’t get to see him quite as much as I hoped, but the parts of the book that he is in are extra special. I adore the relationship between him and Eve. 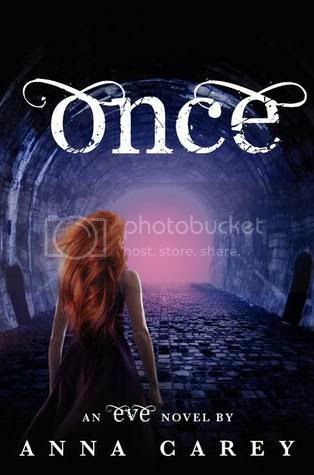 We are also introduced to quite a few new characters in Once, and there are a few characters that you are going to love to hate. (I sure did, anyways.) A few of our favorite characters from the previous book make a comeback as well, and it was interesting as well as heartbreaking to see what had happened to some of them. Overall, I really enjoyed this sequel. I was super curious to see how things would play out for Eve and Caleb, and I definitely wasn’t disappointed. Bring on the next book in this series, and quickly, please! Thanks for the great review. This sounds like a great series. The covers for this series are so pretty and eye catching but I heard such lukewarm things about the first. I feel like I might have to check them out if the second one is worth it. Wonderful review, Christy. I was like you - I read this one SO FAST because I definitely didn't want to put it down. Both books in this series have left me just a bit...wanting more, yet Anna Carey absolutely manages to wrap me up entirely in the story she's telling. 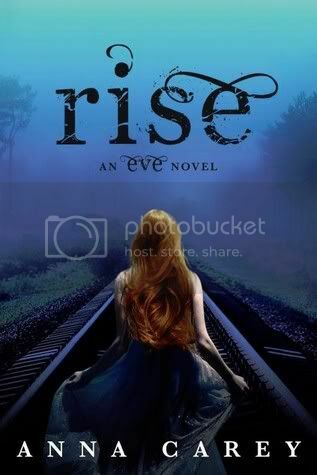 I cannot WAIT for RISE! 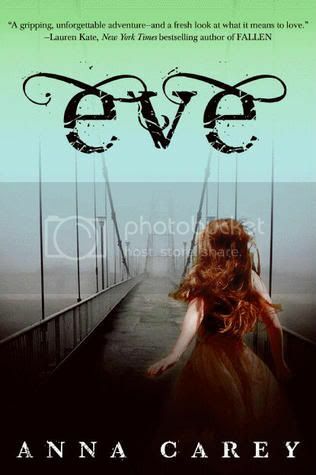 I wasn't a huge fan of Eve but I liked the book well enough. But your review definitely wants to make me check this one out! It does sound fantastic!